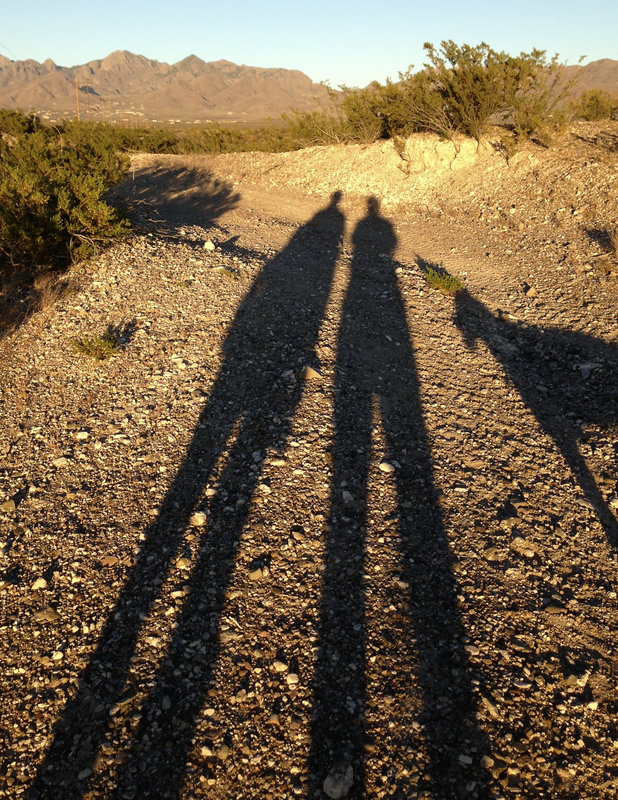 Our shadows cast on the desert trail, walking the dogs out in the desert is a favorite for us, the dogs can run free and we can walk in peace away from traffic. The one phrase we’ve heard most often since taking off on our trip is “Be careful!” I understand the people telling us this have nothing but good intentions. I really do appreciate everyone’s concern. Last night when I heard it again for the hundredth time, it just struck me as such a funny thing to say. 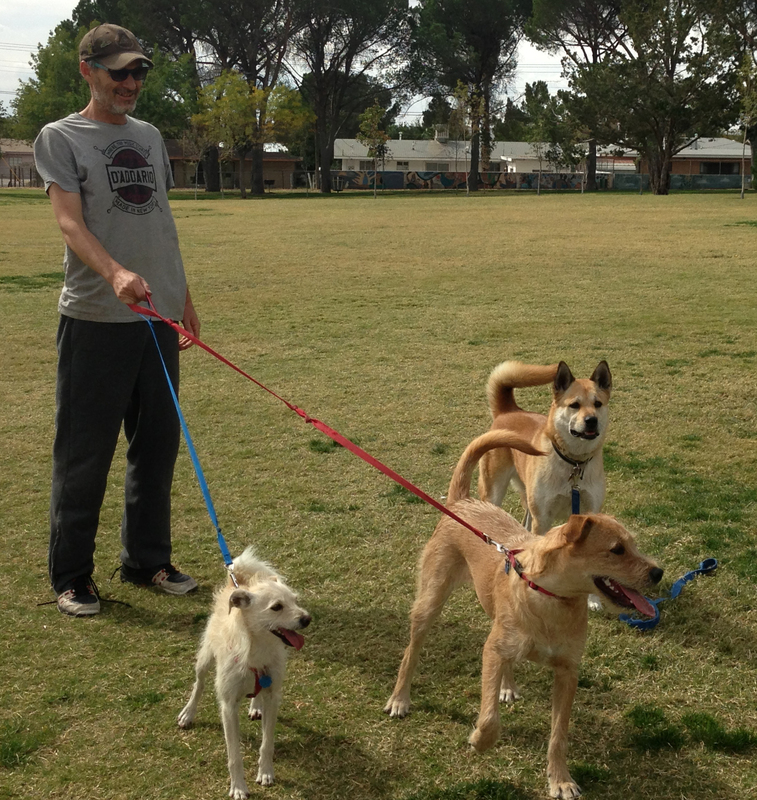 The dogs are ready to get their run in! First of all, of course we are going to be careful! What hit me more profoundly though was the fact that to do what we are doing, traveling around in an RV, is a risk. The type of risk that most people would never take. Maybe that’s why people tell us to be careful, because they cannot see themselves doing what we are doing. They see it as too much of a risk. Way too far out of their comfort zone. 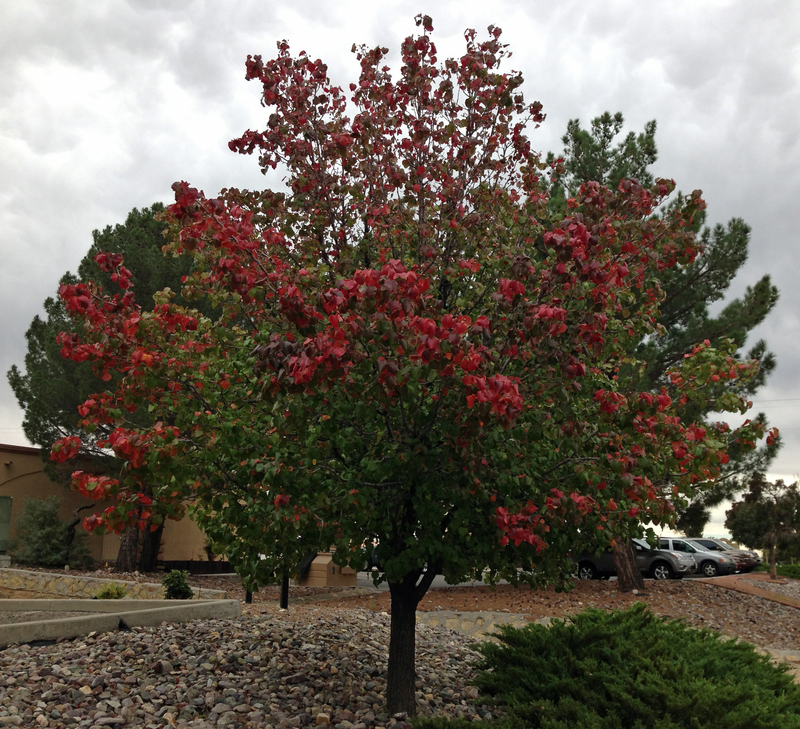 Fall starts a bit later down south, but the trees are starting to change. I guess it’s all in your perception. We see it as an adventure! No doubt, we are stepping out of our own comfort zone. We have lived the last 13 years in the same town, in the same house even. 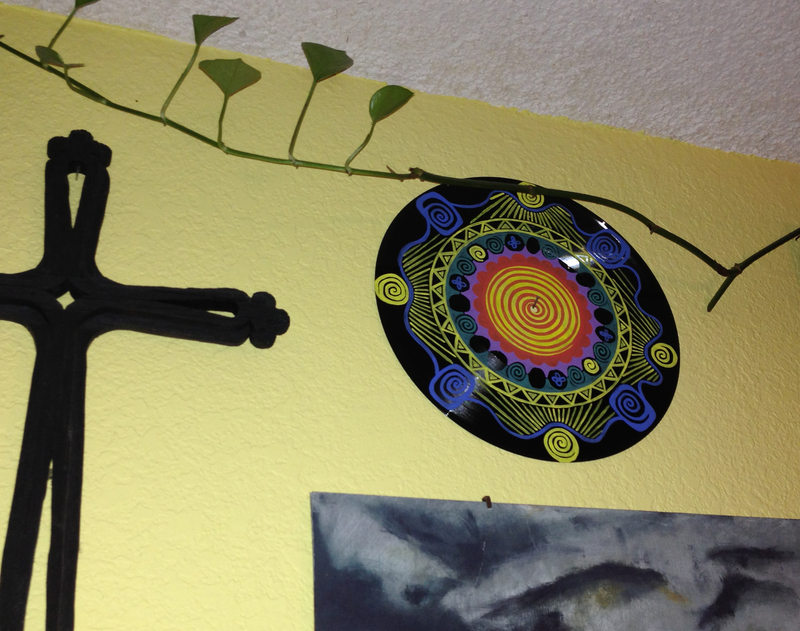 We have established ourselves in Albuquerque, New Mexico. 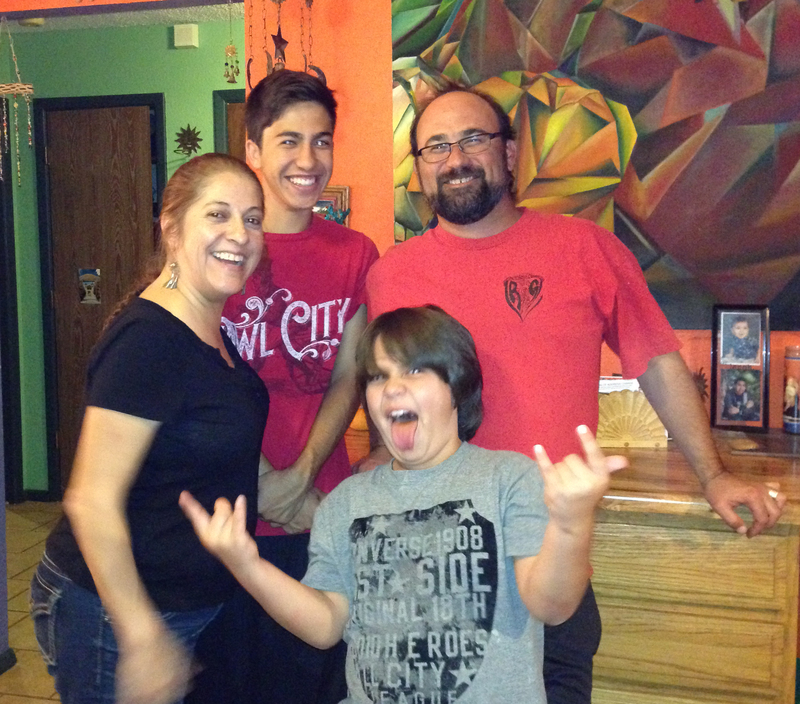 We have a business, we have friends, family, in short, we have comfort in Albuquerque. We have enjoyed visiting with great friends, Saturday evening was spent with the Leon family, too much fun! 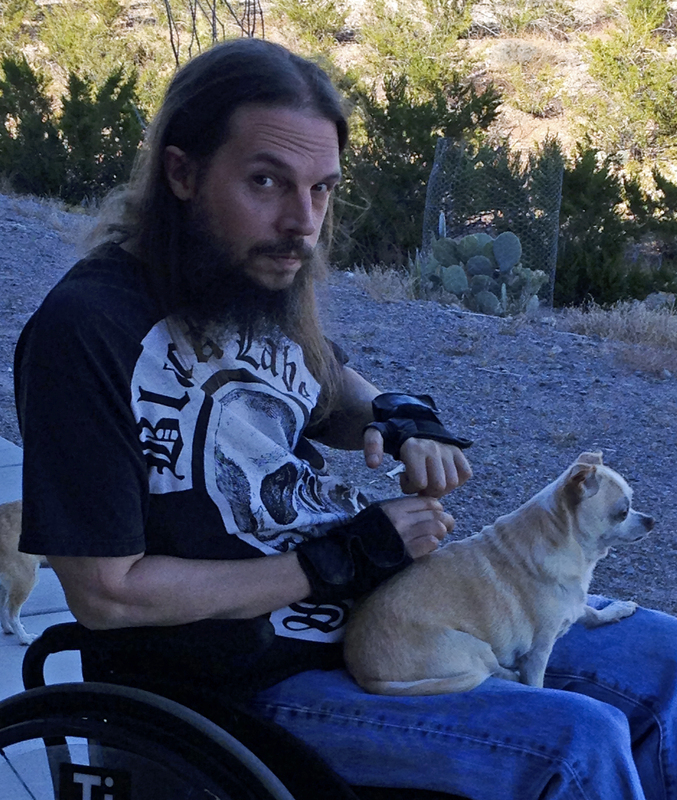 We spent two days with our lifelong friend Rob, here with his dog, Paco. Visiting our hometown for the past week has reminded me of my adventurous spirit. I first left Las Cruces, New Mexico as a 17 year old. Newlywed, young mother, my husband was in the military, our first duty station just happened to be Hawaii. We were there for a short 8 months, but at the time it seemed like forever! It was so hard being so far from home, back in the days when long distance calls were expensive. But it was fun! I guess I’ve always been good at stepping out of my comfort zone. It’s just a part of who I am. For years, when my kids were growing up, I wanted nothing more than to have a safe, secure life. Buy a house, get a steady job, stay in one place so the boys would have friends and feel like they belonged somewhere. It took a long time to get to that place. From that first adventure in Hawaii, to finally settling down in Albuquerque spanned a period of 15 years and at least 20 moves in 6 different states! 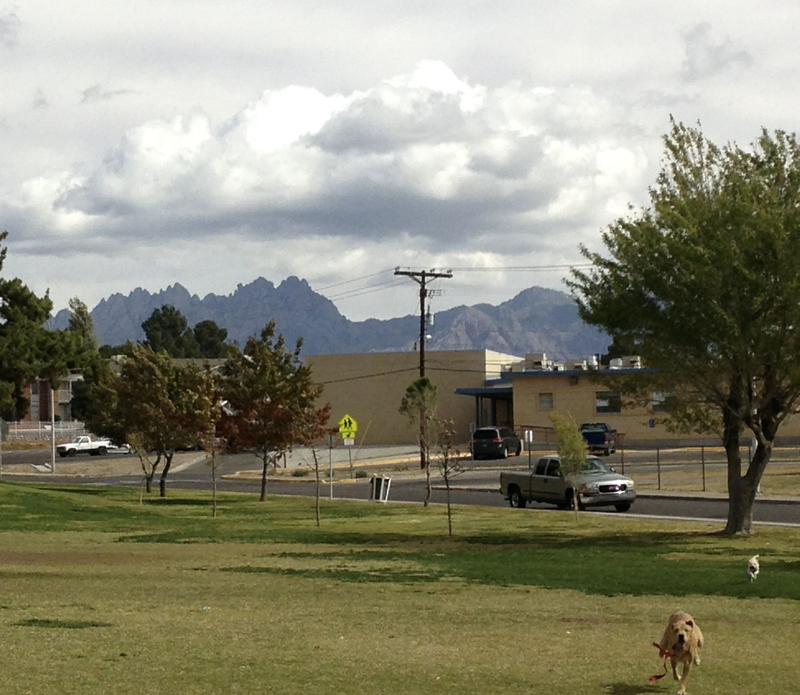 My favorite landmark in Las Cruces, the Organ mountains to the east of town. This view is from the front porch of our good friend Rob’s house. Now that the boys are men, adults taking care of themselves (for the most part! ), all I want to do is explore and move, enjoying the time spent traveling from one town to another. Unlike when the boys were small. All the moving back then was a nightmare. Now it’s just Aaron and me, we don’t have to worry about anything but what we want to do. Way back when, at the young age of 16, when I had my first son, I promised myself that I would reward myself for the sacrifices of having kids at an early age by enjoying my 40s. I am now here and spending my 40s doing the things most people do in their 20s. 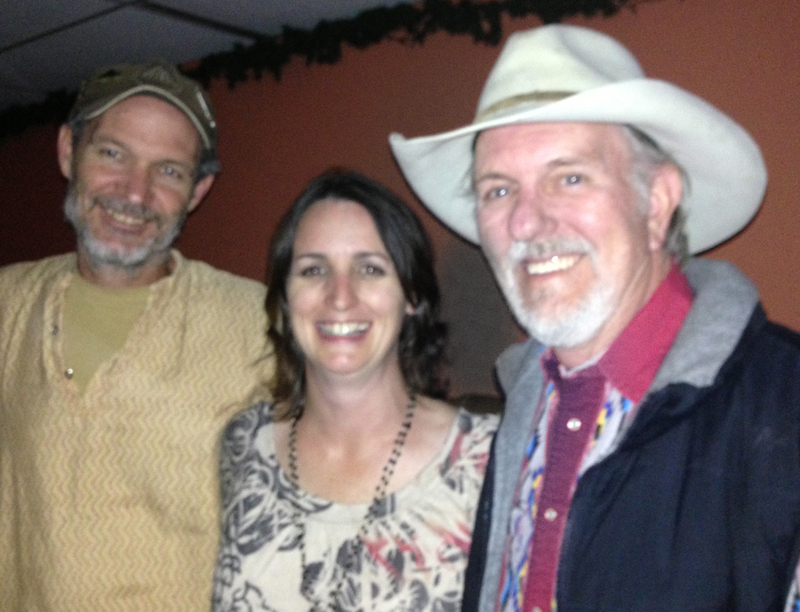 Ran into our friend and fellow musician at an open mic night. Big thanks to Tom Foster Morris for the cd he gave me for my birthday!